At the beginning of the month, I blogged about my new method of goal-setting for my work in progress. Said something about getting back to you at the end of the month to let you know how it went. Here's the truth: even as I wrote that, I wondered if I would post something else today, anything, really, other than an update that would be forced to admit I had failed. At the end of September, my manuscript had just over 37K words. Taped to a torn off sheet of paper were the goals for the next month, which would, if I met the weekly goals, land me at 75K words by October 28, which was this past Monday. Instead of a daily "write this many words," I set weekly goals. Since I had a fly/drive trip to North Carolina, I gave myself a break that week, and the week after since I knew the long drive home would knock me out for a couple days. Did I make all those goals? Honestly, I didn't. The first goal, yes, with a marathon of all day writing totaling just under 5K words written on deadline day. October 7 I called it a day at just over 49K words in the manuscript. Close; and on the 8th, I headed to bed at 52,544. So a day late, but I still felt okay. I exceeded my mid-month goal by 259 words a full three days early, and hit my second-to-last deadline by squeezing out almost 3K words that day. And this past Monday? I did it: 75,016 words in my manuscript by 9 p.m., almost four thousand of them written in a single day. So what did I learn? First off, that this was without a doubt an absolute success. Second, that if I miss a deadline by a hair, it's okay, because knowing it's there, I'll get there the next day, and sometimes you really just need to sleep. Third? Two thousand words a day doesn't work for me, because sometimes it's more than I've got in me. But other days, I have a lot more, and if I plan for just two thousand words, I might be missing out on an easy five that flow like hot syrup. And I also learned that 75K words does not, at least in this case, a manuscript make. So what's a girl to do? It's very clear to me: new goals to get me to let's shoot for 90K words by Thanksgiving. I'm confident I'll do it. And that's one of the best lessons of the year. Last week Pamela mentioned that we are looking forward to seeing Elizabeth Gilbert as she visits Dallas for Highland Park United Methodist’s Authors’ LIVE. Ms. Gilbert is touring to promote her latest novel, The Signature of All Things. 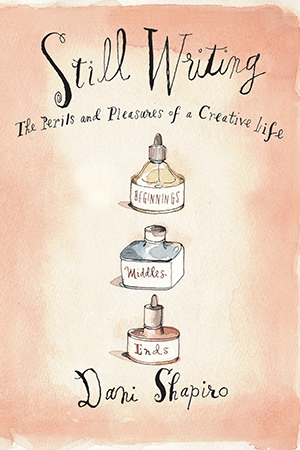 Alexandra Alter, Wall Street Journal: "In a complete pivot, Ms. Gilbert has turned out the most ambitious and purely imaginative work in her 20-year career: a deeply researched and vividly rendered historical." I started hearing the buzz about this novel last month and knew I would love it. 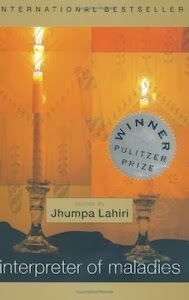 From the opening pages, the reader is immediately transported to the 18th century. This sprawling story begins with Henry Whittaker, a lad who, beginning at a young age, values wealth above all else. He thieves his way from native England and across ocean voyages to far away lands, where he pockets rare botanical specimens. After becoming wealthy in the quinine trade, he settles in Philadelphia with his Dutch-born wife, Beatrix. He amasses an even greater fortune there and builds a grand home with extensive grounds, naming it White Acre (a play on his name) along the lines of a Biltmore or Hearst Castle. Beatrix is a sturdy, unsentimental woman who keeps their business holdings' books and records. 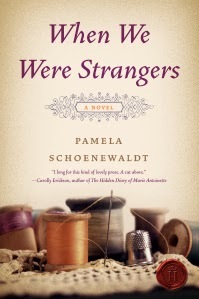 In 1800, their daughter, Alma, comes into the world needing for nothing, but wanting to know everything. With unfortunate looks, “her face was far better suited to a grown man than to a little girl,” she is an awkward only child. Henry and Beatrix expect Alma to pursue knowledge with a vengeance. She is as comfortable questioning adults at dinner parties as she is in her own company. Often left on her own to study and read, Alma delights in finding trunks full of books: botanical, historical, scientific, religious and, of course, sexual. 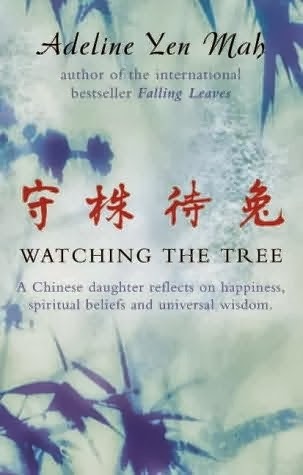 Though she has thus far kept no secrets from her parents, she recognizes as dangerous her developing fascination with one explicit book in particular and the sensual obsession it has aroused in her. In an effort to fill her dinner table with interesting guests, Alma meets an artist who is a master at painting orchids. Though also highly intelligent, their similarities end there. His focus is on the spiritual, supernatural and magical. For all her interest in facts and hard knowledge, Alma is unable to avoid his pull. But she misunderstands his intentions completely and is left staggeringly unsatisfied and bereft. I found this to be one of the most compelling novels I’ve read--ever. Even at 499 pages, the narrative is fluid and engaging. Exquisitely written, the characters and settings come alive. What made this novel even more enjoyable for me was listening to the audio version narrated by the brilliant actress Juliet Stevenson. 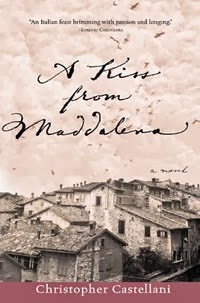 If you enjoy historical fiction and novels with strong female characters, this novel's for you. If you have an interest in botany, philosophy and world cultures, you will be in for an even greater treat. Highland Park United Methodist Church's AuthorsLIVE! on Monday night, November 4, at 7 p.m.
Let us know if you can join us and we’ll save you a seat! All parents teach by example, sometimes intentionally, sometimes not. I've done my fair share of unintentional parenting, but one thing I've done for sure is model a reader's life for my girls. They've both come along with me to libraries and bookstores since they were babies: borrowing, buying, and coveting titles. They live with me and my stacks--by my bedside, in my home office, my car, and on my desk. They've heard me say more than once "I need another bookcase." In addition, they've been my best helpers when I'm loading boxes of donated used books into my car to deliver to International Book Project for the next shipment for Ghana or Nigeria. Books, around here, aren't outdated or cumbersome. They are what we do. So it's not surprising that they have developed their own reading habits, favorite authors and series, and have flourished in an environment where books are better than chocolate. And yet this week, for all three of us, something clicked. On Sunday, we drove to Dallas for Half-Price Books' semi-annual book purge. (I don't know what they actually call it, but it was amazing.) A warehouse full of half-sorted books, piled on tables as far as the eye could see--all for under $1.00 each. We split up, each searching for gold. 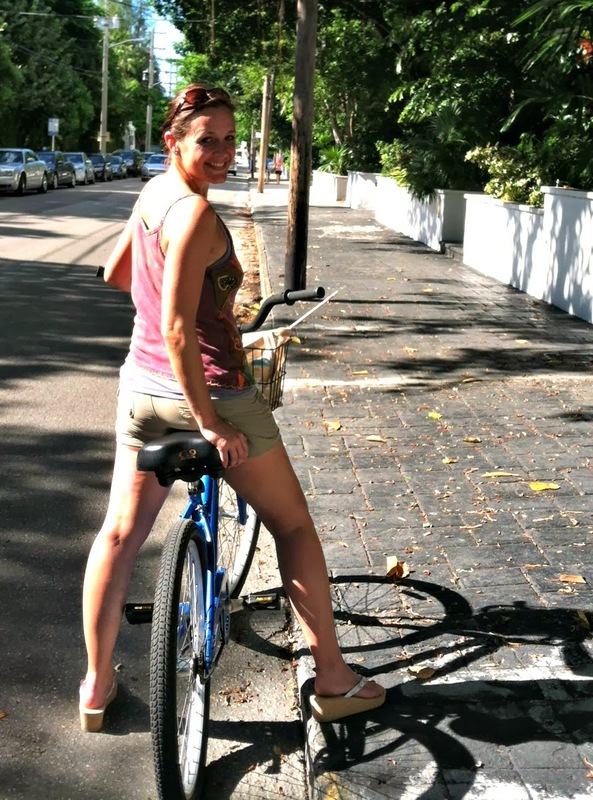 My older daughter stood paralyzed by the possibilities and had a hard time even starting. The younger dove in, finding complete series of middle grade paperbacks, shuffling books upon books, her elbows gently brushing those beside her in their shared quest for something brilliant. And I headed for fiction, then to anthologies, then to essays and poetry. It was probably an hour before I noticed a man holding a sign high that read "End Of The Line,"and I realized that the entire warehouse was the line, snaking around in circles to the check out. We reconvened and shared our finds: 42 books for $25. We waited to check out, each of us reading to ourselves, and I looked around me. Everyone in the line stood quietly, reading. I nudged my girls, "look," and we all smiled. There was no frustration or anger in this queue: just reading people, grinning to themselves, books in hands. "Everybody's happy," my youngest said. On Tuesday, Veronica Roth's third book in the Divergent Trilogy released, and Parker, my firstborn, did the research for her Wednesday night book signing in Dallas. Now, I've been to lots of book signings, but this one was a "wristband event." In order to get a copy of Allegiant signed by the super-talented 24-year-old Veronica Roth, the book, with wristband, must be purchased on Tuesday to secure a spot in Wednesday night's line. I talked to an employee at the Barnes & Noble; he told me he expected 700 wristbands to go out on Tuesday. On Wednesday, I drove my daughter and my best friend's daughter, Sunny, to Dallas for dinner and the signing. Then we waited, in a long quiet line of other readers. As our second queue of the week snaked through aisles of books, Parker looked up from quietly reading and looked around. "Book people are my favorite kind," she said. I couldn't help but agree. On our exit, the manager told me that they'd distributed 1200 wristbands for the evening. I turned around and looked behind me at the crowded store: No, I decided. Books are not a dying art. No e-reader will ever replace this experience. Parker, clutching the book to her chest, kept repeating the phrase "This really is happening," as she smiled, all the way to the car. So what changed this week, with me, with my daughters? We're all readers, focused on adding titles to our shelves. We're in it together, this reading thing. And as a writer, I'm inspired. The words are there, to be written, to be read. After the past few days, no one can convince me that paper books and brick and mortar bookstores are a dying art. As solitary as reading can be, I've got to agree with my girl. Book people are my favorite kind. Some weeks, everyone else on the Internet said it much better than you could--especially when it comes to writing. The process. The emotions. The joys. The downs. The basic stuff of it. Here are links to several posts I've read here and there lately that spoke to me. Maybe they'll be helpful to you, too. All of these are also just plain great blogs about writing in general. Bookmark them and visit often! At Writer Unboxed, Julia Monroe Martin, who pops in now and then in our comment threads, and is herself a novelist, shares a poignant post about how the way we write things reflects what's happening around us. What great articles have you come across lately that might help someone else in the writing trenches? If you've followed us much at all here, you know how much we love supporting authors when they come to our area. Not only do I believe it's good karma or kismet but, as a writer, I find it so fascinating to hear an author share her story about how her book came to be. Much like watching the director's cut of a movie with the commentary on, listening to a writer tell about how a story grew from a germ of an idea into a tome you can hold in your hands is so intriguing. 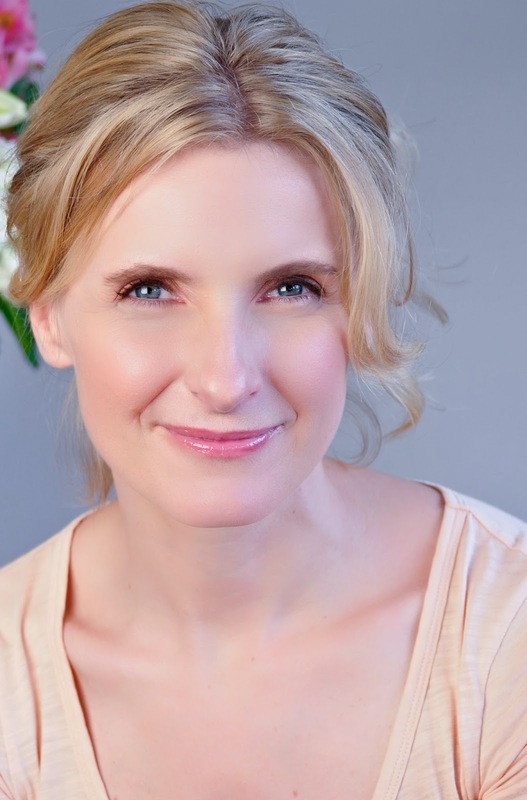 Soon we will be in the company of Elizabeth Gilbert as she tours through Dallas to promote her new novel, The Signature of All Things. Care to join us? 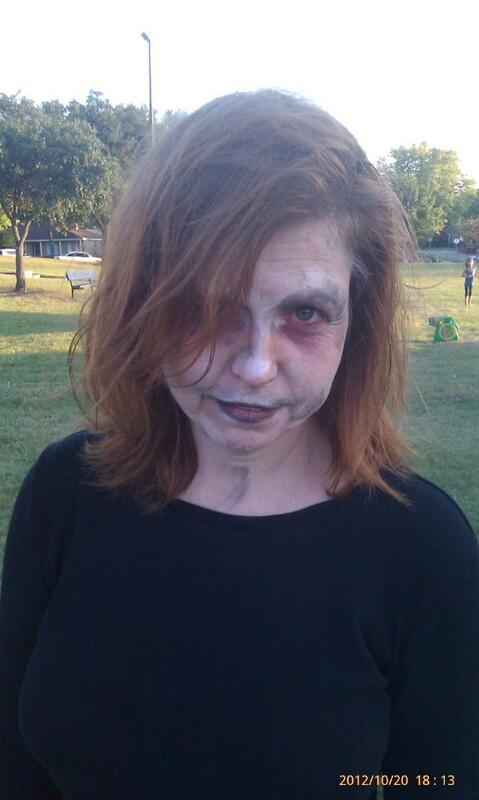 She will speak at Highland Park United Methodist Church's Authors Live! 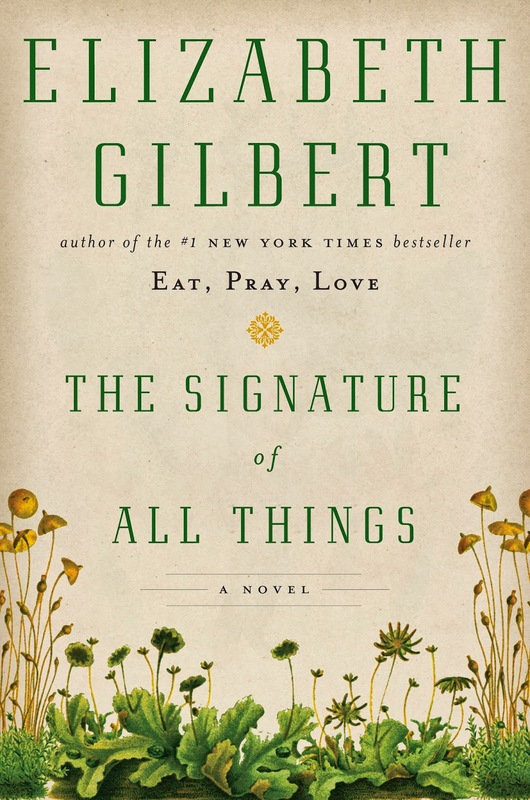 on Monday night, November 4, at 7 p.m.
Ms. Gilbert returns to her fiction roots in The Signature of All Things following the memoir of her spiritual and geographical journey in Eat, Pray, Love. 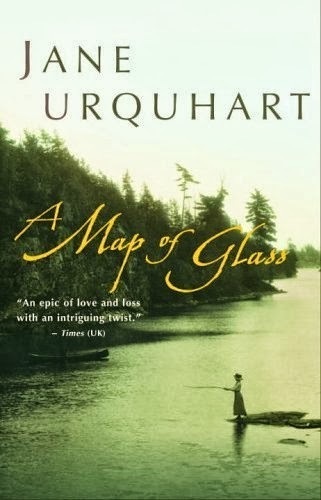 Multiple narrative threads weave seamlessly into this 18th-19th century saga that is typically Gilbert. Highland Park United Methodist Church is located at 3300 Mockingbird Lane in Dallas. Ms. Gilbert's appearance is sponsored by The Friends of the Highland Park Public Library and The Friends of the SMU Libraries. The event is free and open to the public. Books will be available for purchase and there will be a book signing following the program. I blogged about the chaos that is my “office” back in 2009. It’s now October of 2013 and my desk remains exactly where it was, with ten feet of open space between me and a television with surround sound. My husband’s desk is still two steps behind me. There have been a couple of changes since then, of course. My older daughter, the one who wants the TV on for background noise, now prefers to hole up in her room and make duct-tape art during the rare moments she’s not dancing or doing homework. The younger daughter and my husband have now claimed the TV and spend way too much of their leisure time playing Minecraft. I've decided I prefer the theme song for “Dog With a Blog” to the endless bleating of sheep or virtual scrape of pickaxes. Our new laminate floors, while gorgeous, amplify each sound until I swear I’m down in the mine with them. While moving my computer is impossible, I decided to claim one small corner of the house as my own. A place to read and relax. A place to hide when the noise level around me gets to be too much. A place to banish myself to when hormones or tempers flare. My bedroom was the obvious choice, since the open floor plan that once drew me to this house includes few doors that close. I've recently repainted in there and, other than for the TV, the room is a throwback to 1917. I cleared out a space and went out in search of furniture. I found this comfy Morris chair at a local antique store. It was made in 1902 in a town maybe fifty miles from where my great-grandfather lived that year. If this weren't enough of a selling point, the upholstery matched my bedspread. The ends of the armrests even curve to fit my hands. The owner of the store suggested an antique gout stool instead of an ottoman. It looks a bit strange, but supports feet and legs at a natural angle. As soon as I tried it, I grinned and said “sold.” I’m not sure the stools did anything to relieve gout, which could account for their lack of popularity today, but they feel heavenly. My eight-year-old has already claimed both chair and stool as hers when that (hopefully far-off) day arrives that I have no further need of them. So here it is, my serenity amid chaos. I think everyone needs such a place, especially creative types. I like to troll news websites. Okay, really, like many writers, I like to avoid writing, and one of my vices to enable this is to troll news websites. Please interpret the word "news" very broadly, by the way. My news is as likely to be about the current government debacle* as it is about Siamese twin Siamese cats or what celebrity uses Botox even though they don't admit it. Yeah, heavy thinker some days, I know. So earlier this week, I was broadening my mind and I came across an article about how a talk show host and one of her guests "bravely went without makeup." I clicked on the link, watched, and it was true that the host looked clean-faced. The guest? Felt naked, she said. But here's the deal: she had on more makeup than I do on any given day, and by that I mean a day with makeup. She claimed it was a only hint of mascara and some lip gloss, but like the opposing political party, she was obviously telling a whopper. But that's not even what bothered me about the whole deal, or what made me click on that particular non-news bit. What did? "Brave." They were brave to go without makeup, and that word wasn't used just the one time, either. It was used as an adjective, as an adverb, possibly as a verb. Brave. So here's my problem: doing something that makes one insecure is not necessarily brave. Flying a bomber into a war zone is both insecure and an act of bravery; hitting the streets of Manhattan (or even facing a TV audience) sans an hour with a stylist might make a woman feel nervous, but brave? I'm going to have to say no. I'm often troubled by the cheapening of our language, and the fact that the price of this is to diminish the instances when words are truly deserved. Is the sort of playground teasing that's gone on since before Laura Ingalls Wilder described it truly "bullying"? Is a bowl of mac and cheese really "amazing"? Am I really brave the two or three days a week I trudge out into the world barefaced, not so much as a lick of color on my lips or a single swipe of blush? Or should those words be reserved for the kid who gets tormented daily, pushed around and picked and punched; for the Grand Canyon and Great Wall of China; for the firefighters who head toward the blaze when every human instinct would scream to flee? As writers, words are our currency. Most of us have spent a lot of time debating precisely the right word to use in a particular sentence, have agonized over which words get to stay and which must go. There's a reason for that, too: words matter. I really believe that. I believe in the power of words, placed in just the right order, with just the right rhythm, to entertain, move, inspire. And I worry that the cavalier slinging about of some really powerful words wrings their meaning and leaves them flaccid and nearly meaningless, or at least lacking the meaning they once had. I'm hardly the first to lament this--I've probably already done so on this blog at some point--and I won't be the last. I have no power to stop it from happening. All I can do is to continue to choose my own words carefully, and hope that they still mean what I plan for them to mean in the context I place them. A talk show host and her guest went without makeup to prove a point. One of them made the point pretty well, the other, not so much. Neither was brave, and neither a coward. The point, that what is real, and what takes effort, was made for me by both. Bravery, though, had nothing to do with it. Overcoming insecurity? Sure. Defying inhibition? Fair enough. But bravery? The only thing shooting at them was a camera, and the only risk they faced was ratings. If that's brave, then the pop-up promising a miracle to eliminate all excess body fat, is news. *How's this for excellent? As I write this, the government is shut down, but if you are reading this in, say, 2017 (the internet is forever), it is almost assured that this comment will not be archaic, but simply differently applied. Did I say excellent? Reverse that. Way back when Julie’s book was still in her computer, agentless, she wrote a fun post about comps. So yes, it’s a thorny dilemma. The goal is to find titles or authors that might share the same readers, the same shelf in the bookstore. I agree with several commenters on Julie's post; I normally don’t include comp titles in the query unless the agent specifically asks. And it’s always best to use language such as: My story will also appeal to fans of (insert author here) or my story touches on similar themes to those in (insert title here). The comps I've used when querying for THE LOST LEGACY OF GABRIEL TUCCI are pretty diverse. 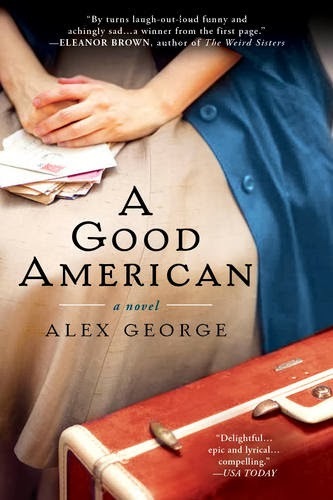 In some ways my story shares similarities to Alex George’s A Good American with its fish-out-of-water immigrants and ancestral secrets, or novels by Kate Morton and Rebecca Stott with dual timelines and a focus on links to the past. Perhaps even Jennifer Donnelly's novels for themes of betrayal, murder and the seedy side of historic London. I loved these books (reviewed them here!) and would be thrilled if mine shared the same shelf. If all goes well, some other writer might use my book as a comp one day. I'll admit it: I've spoiled myself in the past twelve months with travel. I've been to Seattle, Portland, Boston, New York, and Milwaukee. I've embarked on four driving trips from Texas to Kentucky and back. I've visited family and friends all across Tennessee, North Carolina and Virginia. And right now, I'm typing from a tiny bungalow in Key West, Florida, where my younger sister and I are wrapping up an amazing week, celebrating our birthdays together. A shared goal of this trip for us both was to relax, read, soak up some sun and be responsible-- frankly-- for no one but ourselves. I'm sad to say that I didn't write as much as I'd hoped, but in place of that, I snorkeled, sailed, kayaked, swam and danced. I've eaten great food. I've read books I've wanted to read. And I've spent the entire week talking to my sister, who lives one thousand miles away from me. It's been a great chance to unwind, think, sleep, and smile. 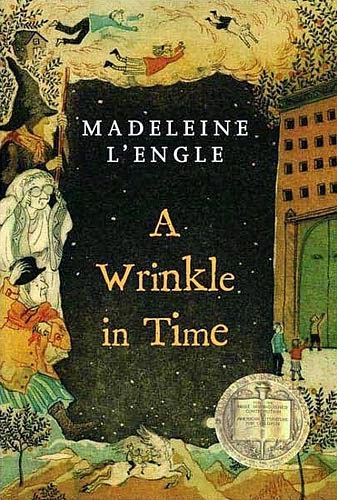 In preparation for this trip, I pre-ordered a book for my older daughter, who wanted to make sure that she got it on its release date of October 8th. She's texted me non-stop since the 8th, in fact, to let me know it still hasn't arrived. I'm sad to report that I just received an email stating that it shipped today-- meaning she won't get it until Saturday. And it made me think about anticipation. We anticipate our own projects' completions and hopefully, their successes. We look forward to trips and vacations. We can't wait to see people we've missed and to spend time with them. And there's nothing better than looking forward to a book and finally receiving it, knowing you can lose yourself in its pages for hours. My own reading list keeps growing as great authors keep writing great books, making sure I always have something to look forward to. For the next twelve months, I'm looking forward to more great travel, great books, and for getting good words on paper. We sure talk about writing a lot here at What Women Write. I guess that makes sense. But today I thought I'd talk about something else! I think as a writer it's extremely important to develop other passions and interests. This isn't an original idea. I've even blogged about it before, and most writers will tell you the same thing. It's good to get out in the world and do something different now and then. It stretches our brains, makes us think about new things and different things besides the constant world of characters, setting, and plot, where we often dwell inside our brains. Do you love to run? It's not just good exercise, but good thinking time. Work toward a marathon, or a half marathon, or even a 5K! I'm very proud I've worked up to running about 30-40 minutes on my treadmill after never being able to run much in my life. Outside I can't run more than half a block without feeling like my lungs are going to pop (mild asthma, maybe?). Since I started running inside, I've been amazed to discover I can run -- and much longer than I ever dreamed! Sometimes I even just run in circles inside my house. Trust me, this works, though it probably looks pretty ridiculous from the outside looking in. Do you love to craft or scrapbook? I'm severely scrapbook challenged, but I do enjoy making a crafty thing now and then. Remember my posts about Wine 'n Whimsey last year? I've been missing those evenings, and I learned from experience it's good to confine my crafting ventures to that 2-hour window. When I try to craft from home, I invest too much money in supplies and dwell too much on perfection and rarely finish much. Remind me to tell you the story about the wine bottle chimes I made for Christmas gifts last year ... (ahem, a few are still sitting in a box unfinished on my dining room table). Do you love taking photos or painting or drawing? Make some time for doing those things. One of my absolutely favorite things in the world is going to movies. I especially love quirky or fairly undiscovered indie films, but I also enjoy getting the scoop on bigger films that aren't in wide release yet. It's film festival season in the DFW area, and my husband and I start scoping out the websites and schedules long before the Texas summer heat finally retreats each year, planning and talking about which films we're going to try to see and how many we think we can cram into a weekend. I mean, you can only watch so many movies in the space of three or four days without going a little soft in the brain, right? We also love the unique experience of seeing a director or actor stroll to the front of the theater after the film for a Q&A as we've been able to do for several films at the annual Lone Star Film Festival. Last weekend, we attended one of our favorite festivals -- Chris Kelly's Modern Cinema Festival at the Modern Art Museum of Fort Worth. In previous years, we've had the privilege of seeing films ahead of wide release such as 50/50 that we loved, and some we weren't quite so sure about (E.g., A Dangerous Method). Each year, while I'm scanning the schedules initially, I often think I'm not too interested in many of the films. At first glance, they might seem like something I just wouldn't ever think of seeing, or they might be on a topic that doesn't interest me, or maybe even are filmed in a country I've never had the desire to visit, even in a film. So, we say, oh, should we get passes or just take our chances on sold-out screenings by buying individual tickets? We waffle around, but usually, and often the day or two days before the festival, we convince ourselves to buy the passes, and while we're at it, buy the annual membership to the Modern, and heck, throw in the Reel People membership while we're at it so we can get discounts all year round to the Magnolia at the Modern films. And then the challenge is on. And suddenly, we are checking out the trailers for the films, looking at scarce reviews or social media posts, or checking to see what else the actors have been in. And suddenly, we're planning to watch as many of the films as we can stay awake for. This year we managed a record six. I really think it would have been all eight scheduled had I not already committed to meeting with a book club on Friday evening. Not every single film was a hit for me and/or my husband this time, but we enjoyed several very much -- especially the funny and bittersweet A.C.O.D. (adult children of divorce), a breathtaking and heartbreaking Belgian film titled The Broken Circle Breakdown, and a sweet (and sometimes not sweet) look at marriage from the viewpoint of a couple struggling to regain their mojo after many years of marriage in Le Week-End. We might not have stayed for the final screening Sunday afternoon after Le Week-End, because le weekend had already been long, and we were exhausted and happy and overfull. However, things were running a bit behind, which mean the very last film would start almost immediately after credits for Le Week-End rolled. We went to the lobby to stretch. I said to my husband, "Let's sit at the back, and then we can leave if we want to." After all, this movie was a documentary -- never my favorite genre. And it was about India. I've never felt compelled to visit this country, though I liked 2011's The Best Exotic Marigold Hotel movie immensely. I have a dear online friend from India, and though I have always enjoyed seeing her posts and pictures, that was close enough for me. The topic seemed interesting, but I just wasn't sure it was interesting enough to sit for another hour and a half in this particular theater, which is not your regular cushy stadium style set-up. So we wandered back in and plopped down in the very back row, which happens to have extra legroom, too, and prepared to be semi-engaged for a long as our tired back ends could take it. It turns out we stayed for the whole thing. And wow, am I ever glad we decided to hang around. I have never been as emotionally wrung out after seeing a film. And it was not all BAD emotion. The film was extremely sad in places, but over-the-top JOYFUL too. I laughed and laughed, even while I cried and cried. Moreover, I have never, ever seen my stoic engineer husband as affected by a movie as Todd was. On our way to our car after the screening, I struggled to control actual sobs, while he was speechless and I could tell he was struggling to contain his emotion, too. 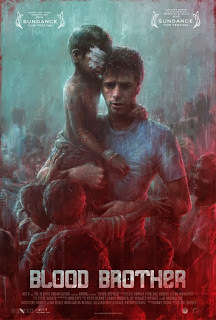 A young man, disillusioned and confused about his purpose in life, goes on a trip to India and while he's there, he happens to visit a shelter for children and mothers who are HIV positive -- something that happens in staggering numbers in third-world countries. He doesn't even like kids, but something about his visit draws him back, and he ends up moving to the nearby village to volunteer and be with these children as many minutes of the day as he can. He falls in love with them. He is back and forth between the U.S. and India for visa renewals, and feels like a fish out of water whenever he's "home" in the U.S. This place and these kids have become his home and his family. First, following some of your other passions beyond writing can have such a good effect on the writing itself. You learn new things, see new things, find new worlds and new ways for your characters to interact. But you might even find yourself suddenly with a new world view as a result. 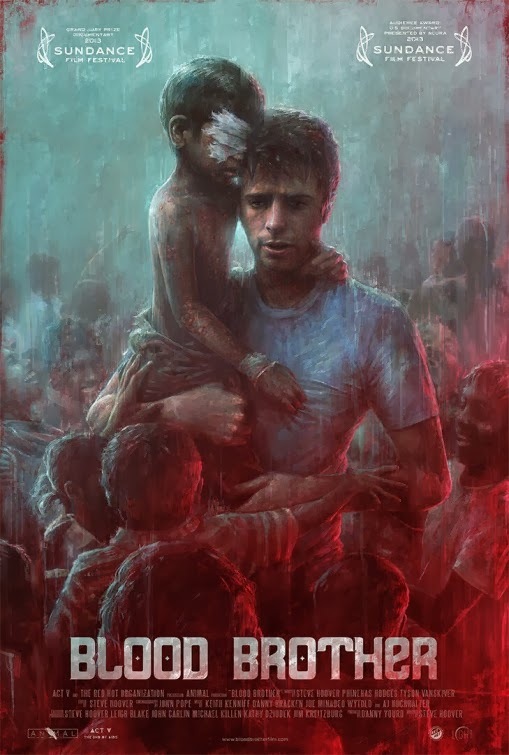 This was the case for me after watching the film Blood Brother, which won the 2013 Sundance Audience and Grand Jury awards for a U.S. documentary. Suddenly, I am not so sure I will never visit India. And suddenly, children who are HIV positive aren't just random statistics across the world. They now have names I know. Surya. Anitha. Vemathi. Some who are no longer here. And the movie didn't just make me want to pull out my credit card and send the organization ten bucks. It did something to me I don't quite understand yet. Something that is making me think long and hard about my own purpose and investments of time and money. It will be interesting to see where I go with this. Somewhere, I hope. Second, I want to invite you to look at this website, watch the trailer (and never imagine for a single moment that the extent and depth of what you will see in this film can even be touched on in this two minutes), then see if there's a screening somewhere near you in the next few months. I kind of want to lock the politicians in DC in a room together for the screening there tonight. I couldn't detect even a hint of political propaganda in this film, by the way. I think you might be touched as deeply as I was, and as Todd was, when we randomly (or maybe not) decided to give another 90 minutes to doing something we love to do anyway -- even though we were tired. What are you doing ... besides writing? I missed out this summer--didn't apply for any writers' workshops or attend any conferences. Backed out of an online class on voice I initially signed up to take. I didn't add any new words to my novel at all. I kept up with freelance commitments and spent time with my kids, vacationed with my family. But today I feel a little slighted. As though every writer I know did something to further their craft. Everyone but me. Instead of wallowing--OK, instead of continuing to wallow--I've decided to self-educate, self-motivate and self-initiate some changes to my writing. "Every book, story, and essay begins with a single word. Then a sentence. Then a paragraph. These words, sentences, paragraphs may well end up not being the actual beginning. You can't know that now. Straining to know the whole of the story before you set out is a bit like imagining great-grandchildren on the first date. But you can start with the smallest detail." If you haven't bought Still Writing, I urge you to do so. You'll feel a kindred spirit with Ms. Shapiro as you realize even successful published authors still hear that niggling voice that threatens to derail a new story. "Thinking is abstract. Knowing and believing are intangible. Your story will always be stronger if you just show the physical actions and details of your characters and allow your reader to do the thinking and knowing." “Why?” I ask and she doesn’t answer me and I think about just getting out of the car and leaving her here by herself. "Why?" I reach for the handle and lean my shoulder against the door, ready to get out of her car, leave her before she tells me what I don't want to hear. Maybe not a significant improvement but now we see my character making a move and not just thinking about it. I also read through Mr. Palahniuk's "8 Words You Should Avoid When Writing" and found even more work that needs to be done on my manuscript. And Elmore Leonard's "10 Rules of Writing" is always good to review. Going through my manuscript with these suggestions might feel daunting today, but I'm convinced that not only will my story be better as a result, but the new words I put on the page will be stronger, more vivid and inviting to read as I avoid weak verbs. Old habits might be hard to break but break they must. Otherwise my words will land flat. As Ms. Shapiro writes (on page 28), "Finding the language. It is what we can hope for." 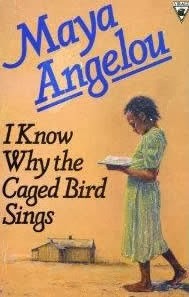 C.W., if you are reading this, please know that I added one of your books into the stack of a half-dozen or so books by minority women I bought today. I'm sure you won't mind. For students of the-professor-who-won’t-be-named-here, the contributors of What Women Write put together a list of potential authors for you to study should you grow bored of reading all the “serious heterosexual guys” your teacher has on the syllabus. We have, I think, managed to include women authors from every continent. Many of these writers are widely accepted as part of the literary canon and are often taught in university classes. Some have won major awards. Others have just written some damn fine books. As a big fan of Canadian literature, I threw in quite a few authors who hail from your side of the border. I urge you (and everyone really) to buy or borrow some of these books. This is not an exhaustive list by any means. If you have further suggestions, please feel free to offer them in the comments. About a week ago I taped a piece of paper on the wall over my computer. I opened up my WIP, checked the current word count, and set goals over the next few weeks for weekly word goals. Not "do this many words each day" but instead, a total number of words the manuscript should have by each Monday. I took into account some busy days I have during that time (road trip! kids off school! ), giving myself a little break knowing that I might not get a chance to write some days. As of the first Monday, I was short by about two thousand words, but the next day, I was caught up and 600 words into the next week's quota. So while I didn't make my goal precisely, I am definitely on track. Not perfect, but close enough for me. Especially since if I hadn't set that goal, it's pretty certain I would have written considerably less. By the end of this month, if all goes according to paper, I should have a decent word-count for a first draft and be ready to print it up, tear it apart, and with luck--make that hard work, and really aren't they the same thing?--the manuscript might be in the hands of beta readers come retreat time. If I'm very lucky, I'll be able to work on some early revisions during that long weekend. Me, after NaNoWriMo. Not really. I'm going to be interested to see how it goes. I'm pretty excellent at justifying the past for the future. Telling myself yes, I didn't write what I had hoped, but the month is still young, and I can still do X or Y or Z beginning tomorrow and be done with the manuscript by whenever. And I've finished manuscripts. But to tell you the truth, a non-secret is that that first draft takes me a long time. I'm wondering now if it's because, rather than life getting in the way, it's because of my mind-set getting in the way. Thinking in terms of today or bust, which if the pilgrims or western settlers or movie makers or really anyone else thought of in that way, California might still be populated more by Joshua trees than people and not even The Kid would yet be available to view. I'm due to post the day before Halloween. My novel should, if I keep to my goal--and if I fall behind a week, there's time to catch up--if I keep to my goal, I should have a first draft, or at least a first draft word count. I'll let you know. Assuming I've done it, or brave enough to admit if I haven't.